Welcome to Major County Historical Society! 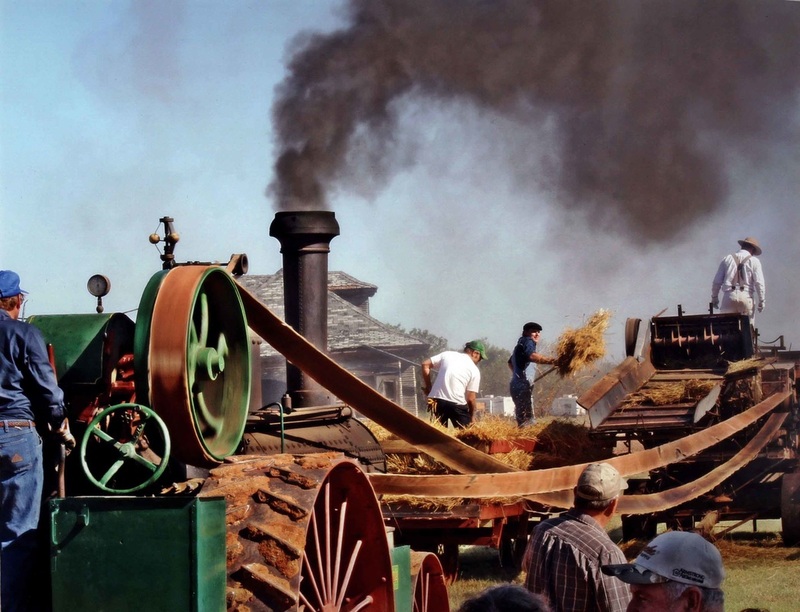 Home to one of the world's largest working Threshing Bees held every September in Fairview, Oklahoma! 2019 Show Dates: September 27-28! Major County Historical Society in Fairview, Major County, Oklahoma is located on 160 acres - 160 acres of outstanding history - that depicts the story of this area. We invite you to stop by for a fun learning experience! MCHS was chartered May 3, 1968. 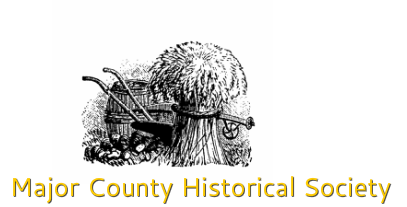 On April 18, 1985, Augusta Spect gifted to Major County Historical Society 160 acres of farm land and funds to build a museum. The next building on the complex was the Blue Front Hotel. Through the years the Fairview train depot was moved on the grounds. Then the Wohlgemuth house which sets where a farm house once stood. Over the years we gained two churches from Ames, Oklahoma, a sawmill, and a one room schoolhouse. A Veterans Memorial with flag poles, the pavilion and a bathhouse were built. Then came the Two Cylinder building that houses threshing machines, wagons, a corn picker, and sheller. Several years later the ag building was erected which houses farm machinery dating from the 1900's through the 1950's. Next came the "Made in Major County" building that houses exhibits made in the county for resale. In 2008, the "2522" Locomotive was set on rails by the depot and the caboose was added. We also have our Oklahoma Centennial Park where metal art characters depict several scenes from pioneer life on the prairie. MCHS is a privately owned entity, governed by an 11 member board which meets regularly the 3rd Tuesday of each month. These meetings are open to the public. We are a 501C3 and receive no federal, state or county funding. The complex and farm are funded by donations and volunteer labor. The museum accepts most donated items, mainly from the Major County area. By appointment. Please call: 580.227.2265. ​Tuesday-Saturday, 10 am to 3 pm. MCHS is located 1 1/2 miles east of Fairview, Oklahoma on Hwy 58. Watch for signs on the north side of the road. Easy access and large parking area (tour bus accessible).